Tesla’s CEO Elon Musk sent an email to Tesla employees celebrating that the workers now produce around 1,000 Model 3 cars every day. Musk mentioned near the beginning of November that the company was on track to hit the 1,000 model 3s per day goal by November 27th or 28th, and it looks like he was right, according to InsideEVs. The InsideEVs report also mentions that Musk is encouraging the workers to keep up this new higher pace of production. The highlight of the report is that Musk says it currently costs the company $38,000 USD to build a Model 3. 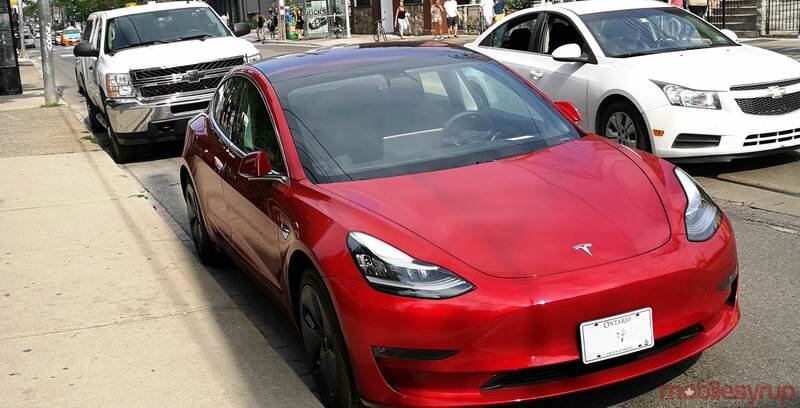 In other words, the company has reduced production costs, bringing it closer to offering the Model 3 for the promised $35,000 USD. Currently, the car retails for $46,000 USD.